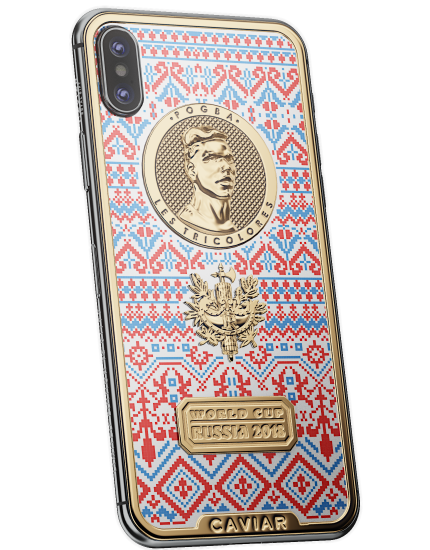 Paul Pogba is talented and restive; he is unpredictable, that’s why watching him playing is like riding a rollercoaster – this is breathtaking! 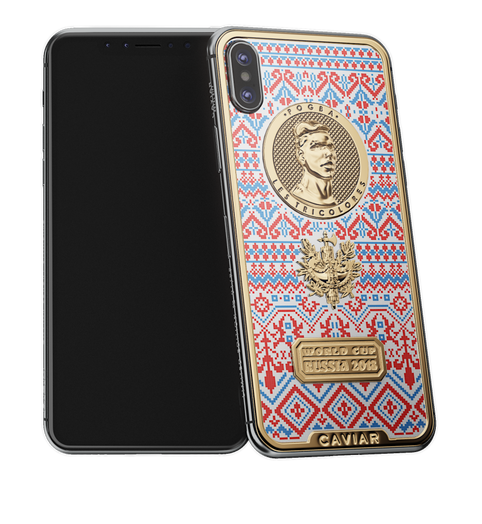 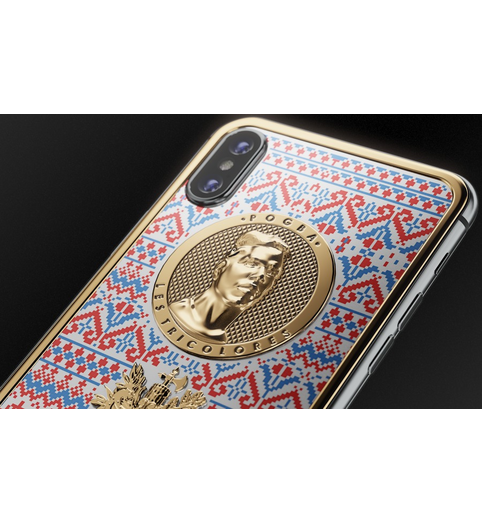 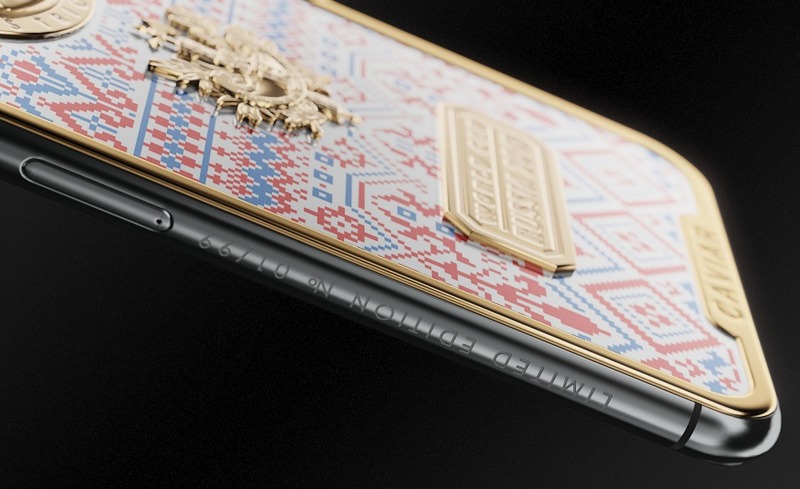 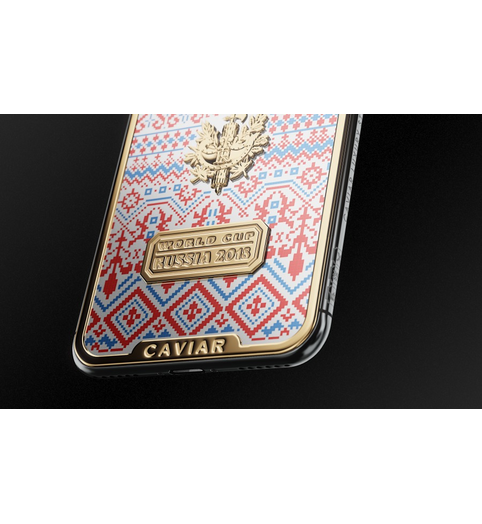 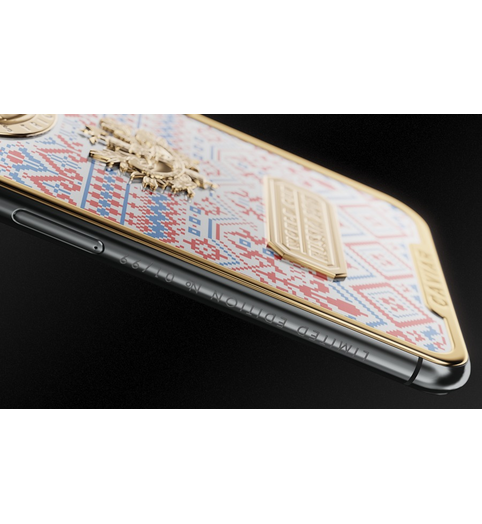 Without hesitation, Caviar chooses him to create a unique design of iPhone X, dedicated to the French Football Team of 2018. 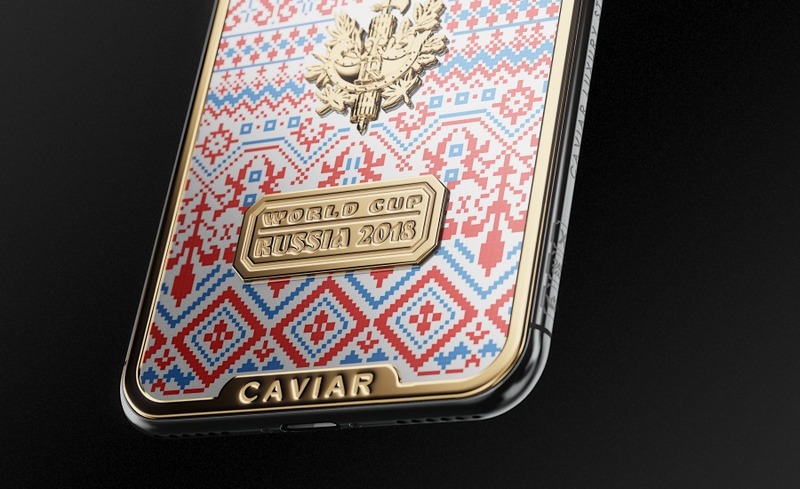 This time, when working on the unusual, colorful background, the brand’s designers used not a painting technique, but the style of the traditional embroidery and performed it in the colors of the French Team. 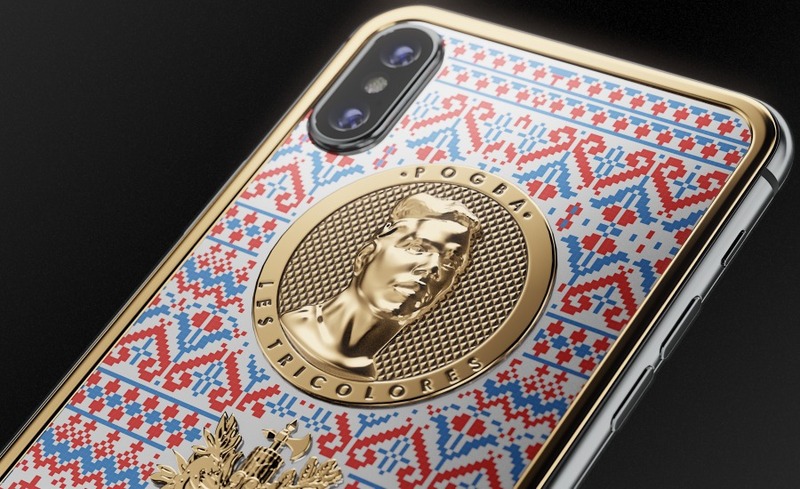 The severe look of Paul Pogba makes the design of this phone absolutely unique and authentic and it immediately gets a true character! 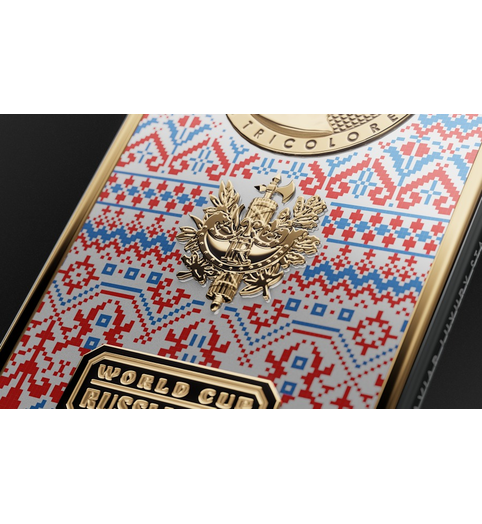 The volumetric player’s portrait is covered with gold of 999 standard and completed with the words “Les Tricolores” - the famous alias of the French team. 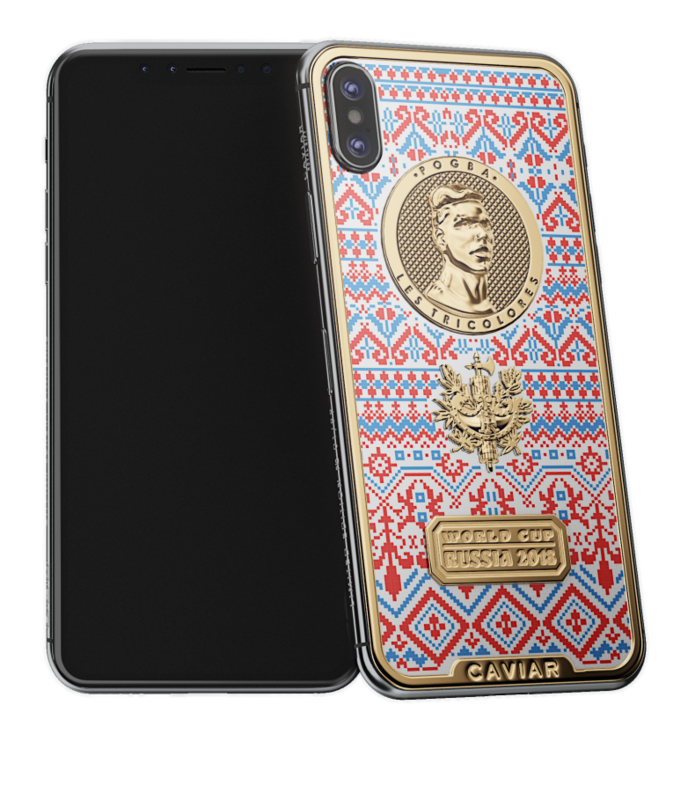 Let’s wish luck to Paul and his team, if you aren’t indifferent to the success of “Tricolores”, then prove it to everyone with the help of the unique iPhone X design by Caviar. 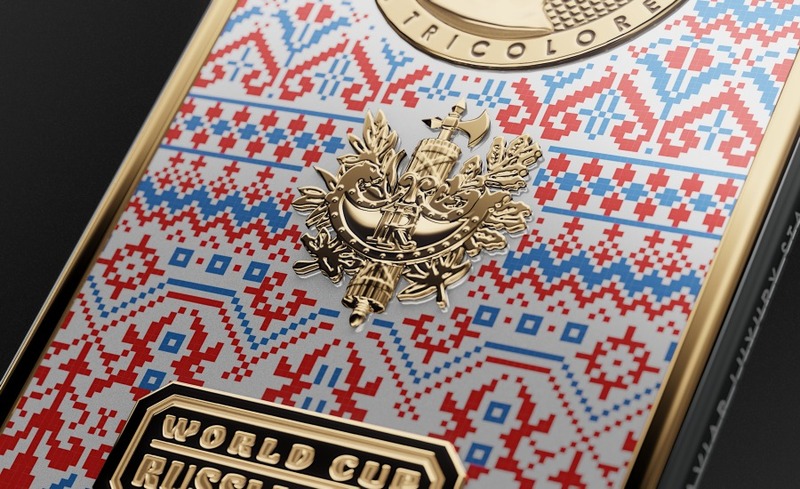 Russian national embroidery in national colors of France. 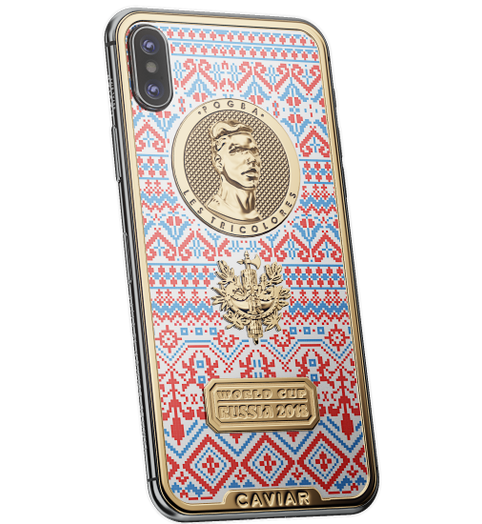 Color sublimation on metal.